Something big and black is moving down the beach. And it’s coming this way. I’m standing on a crescent of sand on the northwest coast of Vancouver Island. It took almost a full day of travel to get here: a long drive on progressively narrower and rougher roads right to where the gravel turned into a dock at Fair Harbour; then an hour-long water taxi to a turquoise cove backed by soft sand. It was worth every second. A moment ago I was alone eyeing up the empty surf break. Now I’m still alone but watching the black bear ambling the high-tide line looking for snacks. There is not another person in sight. No cellphone service or wifi. Just the roar of waves, wind in my hair, the smell of salt. This is why I come to northern Vancouver Island every summer. For me, everything changes north of Campbell River. Just out of town, you pass the last in a line of oceanside homes that stretches all the way to Victoria. The highway shrinks to two lanes. Forest crowds the pavement. Other traffic disappears and the chances of spotting a black bear or Roosevelt elk increase dramatically. The farther north and west you go, the rawer and wilder it feels. This is one of the best places on Earth to see orcas, humpback whales, grizzly bears and sea otters. 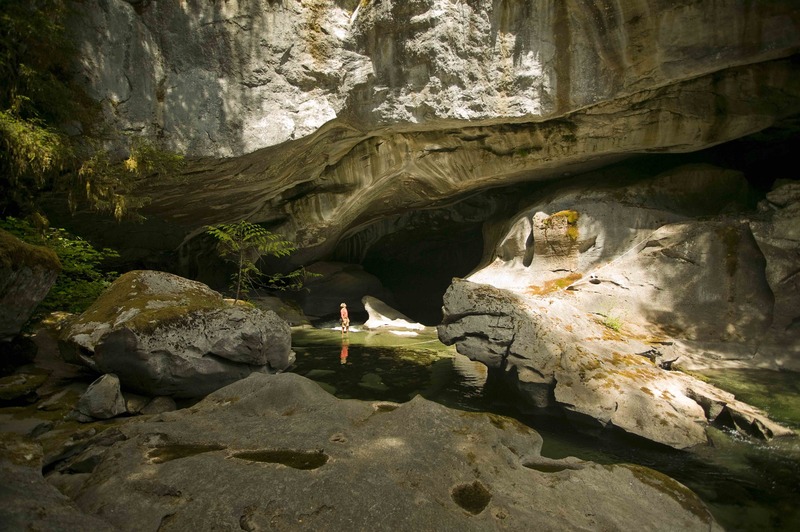 Adventure is everywhere, the lush rainforest and rugged mountains, rushing rivers and the convoluted coastline. It’s easy to get lost here—in a good way. To find a beach to yourself. To drive to the literal end of the road. To share a moment with a grizzly bear. To take a step back in time. To look around and realize you’re alone. That’s how I felt watching that bear. Eventually he caught a whiff, squinted my way and casually ducked into the woods. As for me, I followed wolf tracks back to camp, napped in the sun, went for a sunset surf, cooked over an open fire and called it a perfect day. The sea otter represents one of the great wildlife recovery stories. The fur trade wiped them out on Vancouver Island. 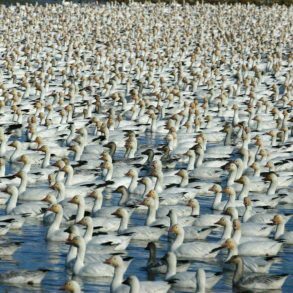 Reintroduced to a remote spot on the west coast of Vancouver Island in 1969, they now number 3,000 and are commonly spotted from Bamfield to Cape Scott. One of the most reliable places to find large rafts of them is in the Nuchatlitz Provincial Marine Park with Kingfisher Wilderness Adventures’s Sea Otter Explorer. The five-day expedition style sea kayak trip hits the water in Zabellos, a former gold mining town, for a water taxi ride to the archipelago. Over the next four days, the group paddles around the islets, coves and beaches. Nights are in wilderness camps on soft sand. In addition to nearly guaranteed sea otter spotting, humpback whales, black bears and wolves are often seen in the area. 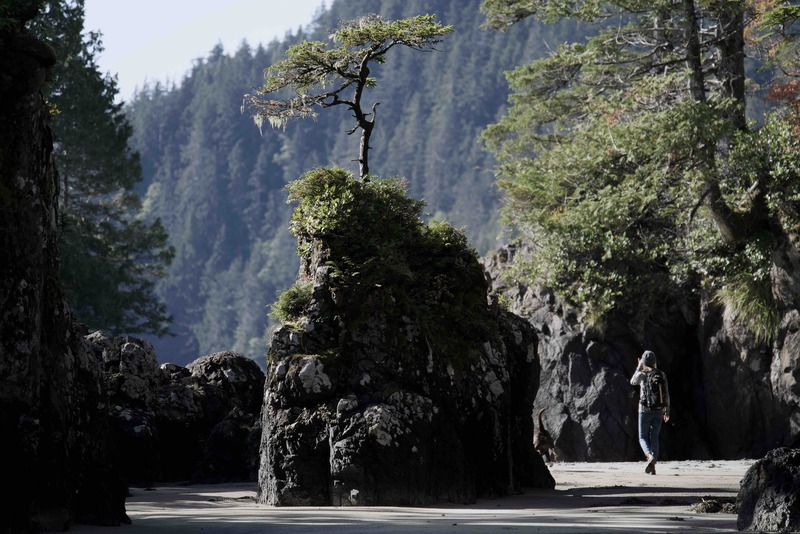 Extras: Kingfisher also offers tours in Haida Gwaii and the Great Bear Rainforest, for those looking to get a bit more remote. To see whales and dolphins, it’s not even necessary to leave land in Telegraph Cove. Powerful currents driven by shifting tides churn up a buffet of food that attracts orcas, dolphins, sea lions, seals and whales. It’s one of the best places in the world to see orcas. 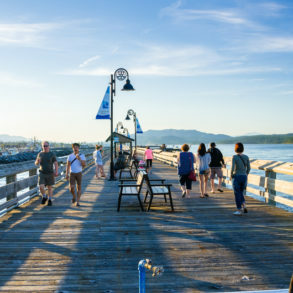 Walk the boardwalks of the charming collection of cabins at Telegraph Cove Resort and you’ve got a decent chance of spotting one of the resident marine mammals passing by the cove. 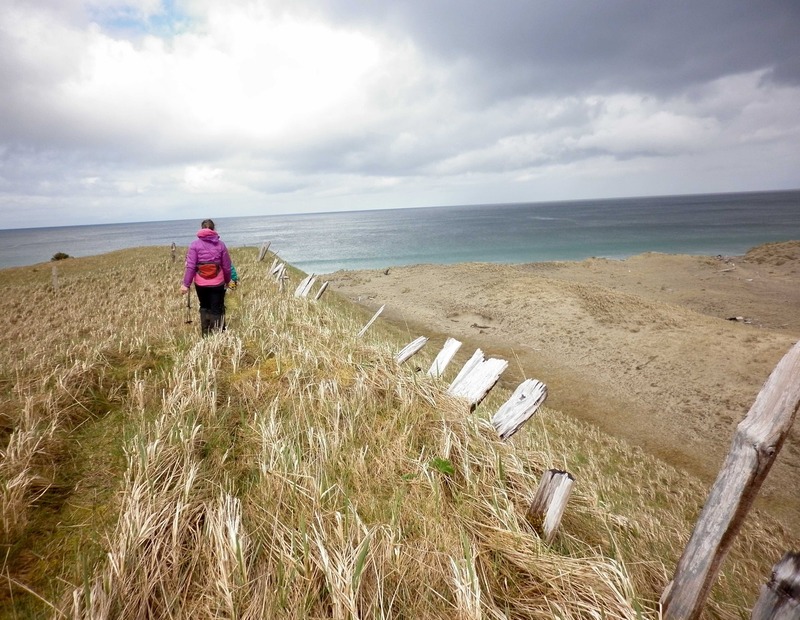 Or tackle the Dave Farrant Trail to Blinkhorn lookout, a challenging trek through the woods to an amazing view point looking out to the glacier topped Coast Range, islands of the Broughton Archipelago and down to the waters below. Of course, the best way to meet the neighbours is with Stubbs Island Whale Watching, based in the cove. Their half-day boat tour is better than Marine Land. 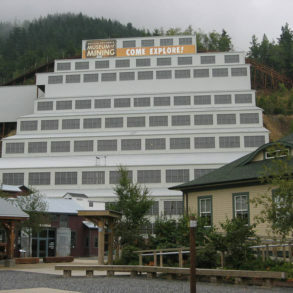 Extras: Telegraph Cove was originally a company town for a fish cannery. The resort restored many of the old employee homes around the boardwalk as guest cabins. 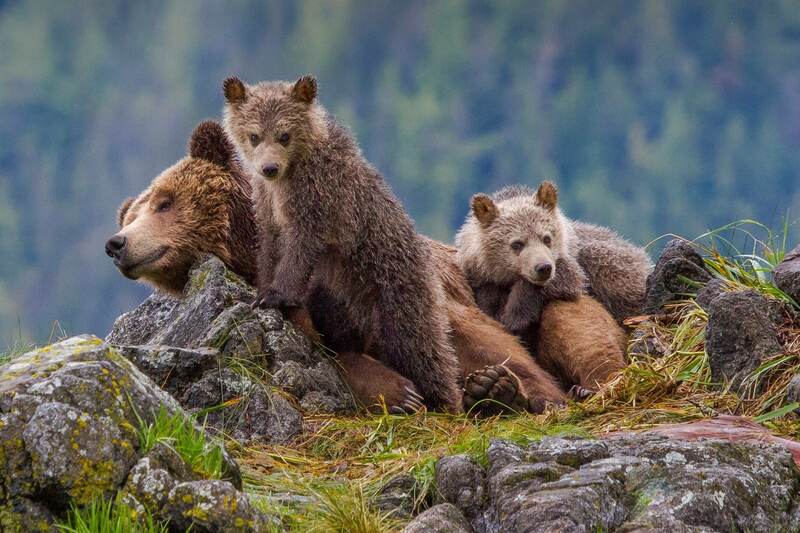 Vancouver Island is grizzly bear-free, but just across the Inside Passage on the mainland coast is one of the highest concentrations of brown bears in North America. 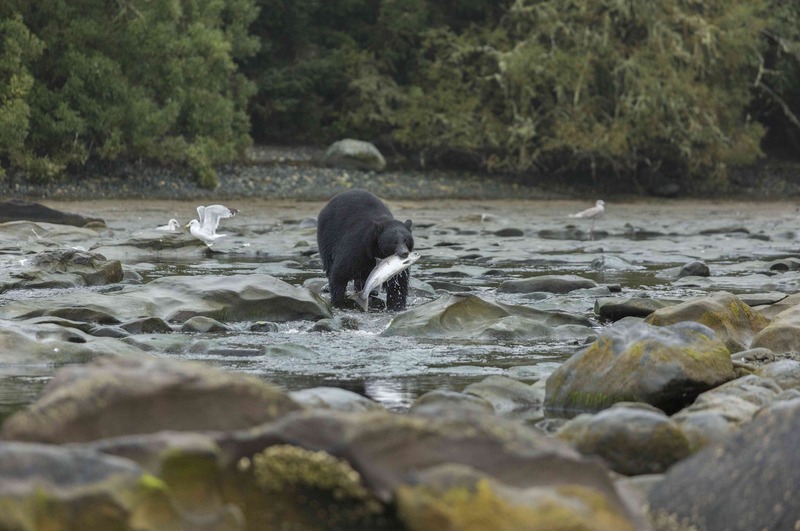 Tide Rip Grizzly Adventures runs day tours from Telegraph Cove to view the bears as they feed along the coast. The tour starts with an hour-and-a-half boat ride through the Broughton Archipelago, BC’s largest marine park. There’s enough time to seek out orcas on the prowl and humpbacks filter feeding plankton. Once in Knight Inlet, the tour shifts to an open skiff for more intimate viewing. The grizzly bears come down to the ocean throughout the year: grazing protein-rich grasses in the spring, scavenging for tidal life in the summer and gorging on migrating salmon in the late summer and fall. Extras: The tour includes breakfast and lunch, and if time allows they stop on the way home at a First Nations museum for an ice cream. Famed explorer, naturalist and SCUBA diving pioneer Jacques Cousteau called the waters off northern Vancouver Island some of the best cold water diving on Earth. Strong currents deliver an endless buffet of nutrient rich waters, perfect conditions for corals, sponges and anemones that turn the rocky bottom a rainbow of colours. Wolf eels, giant Pacific octopus, rockfish and many kinds of sea cucumber are commonly spotted. The dive sites range from the sheer walls of world-famous Browning Pass to forests of kelp, and on to drifting through the Quatsino Narrows. Sun Fun Divers out of Port McNeil offers day trips to dive sites in the Broughton Archipelago. Destination divers should check out God’s Pocket Resort, a remote lodge close to Browning Pass and other world-famous dive sites. 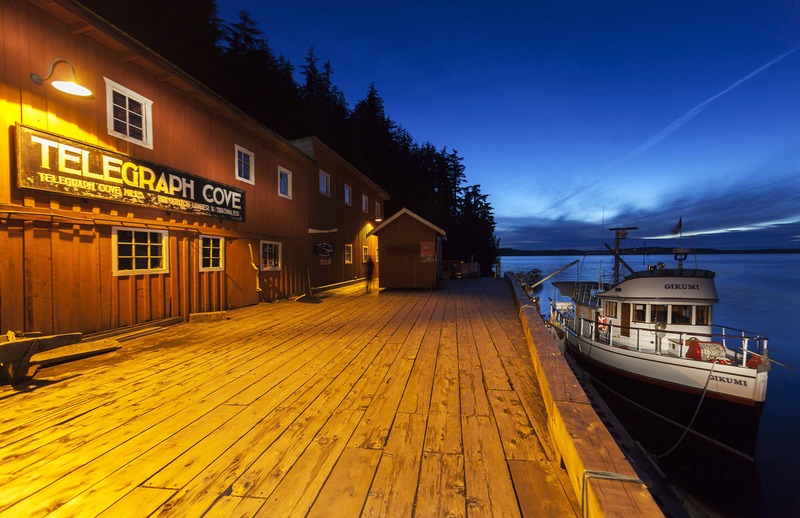 Extras: Post dive hang out and refuel at Cafe Guido in Port Hardy and stay at Kwa’lilas Hotel, a beautiful First Nation-owned hotel. 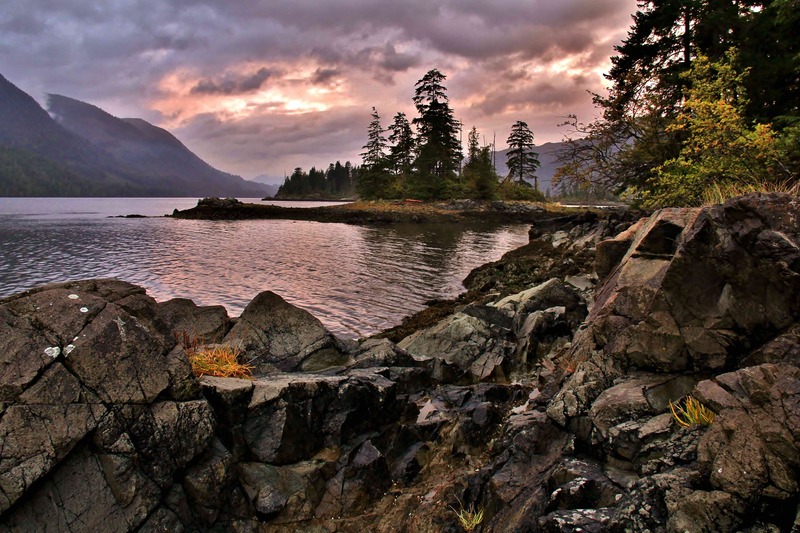 Northern Vancouver Island is home to the Kwakwaka’wakw people. One of the best places to learn about their ancient culture is in Alert Bay on Cormorant Island, a 40-minute ferry ride from Port McNeil. 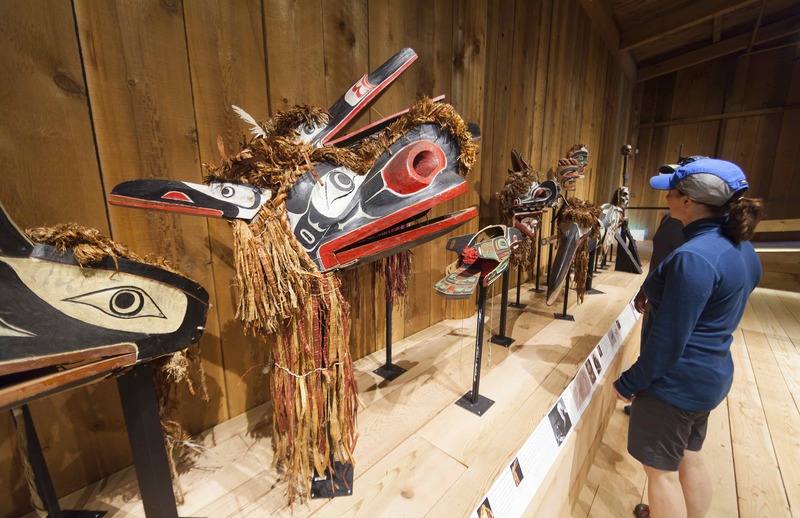 The U’mista Cultural Centre focuses on the potlatch, the traditional celebration ceremony and feast, with one of the largest collections of artifacts anywhere. There are several standing totem poles on the island. Most are at the ‘Namgis Original Burial Grounds and one of the largest in Canada is at the Big House. 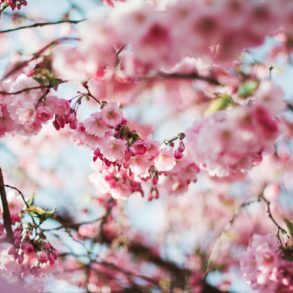 There are plenty of other things to do in Alert Bay and around the island, including a boardwalk into the ecological park and watching for orcas just offshore. 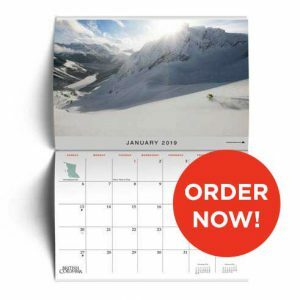 Extras: Every August long weekend, paddlers come to race around Cormorant Island in the Alert Bay 360. All manner of craft compete for prize money and amazing draw prizes. When a group of Finnish settlers arrived on the BC coast looking for an idyllic spot to set up a utopian community, they chose Malcolm Island. The ideal didn’t last long but the island remains a perfect day trip from Port McNeil. 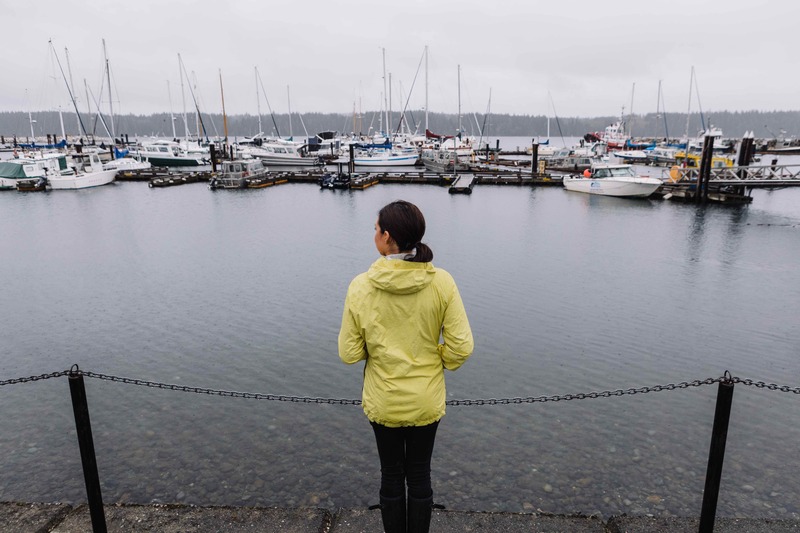 After the short ferry ride explore the town of Sointula—it means “place of harmony” in Finnish—before driving across the island to the 10-kilometre Beautiful Bay Trail. It follows a ridge through rainforest with peak-a-boo views through the trees. If the tide’s right, loop back along the shore, watching for the orcas that like to rub on the smooth pebbles. Stop at Big Lake for a swim on the way back and wait for the ferry at Coho Joe Coffee Shop. 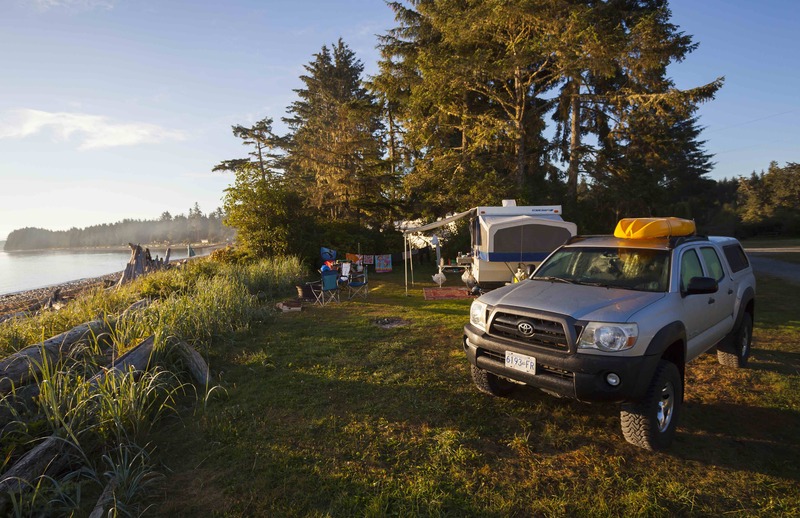 Extras: If you’re not staying on Malcolm Island, bed down at the Cluxewe Resort, which offers campgrounds and cabins just outside Port McNeil where the river meets the ocean. The best place for dinner is Archipelago Bistro. Vancouver Island ends in a confluence of rainforest, endless beaches, sea stacks and crashing surf. The only way to experience it is by hiking the North Coast Trail, 60-kilometre of challenging and exquisite coastal hiking. Most hikers start with a water taxi from Port Hardy to Shushartie Bay and then start hiking west, through a unique bog, across rivers on a cable car, always following the coast and working with the tides. Wolves, bears and marine life are commonly spotted. At Nissen Bight take a day to hike out to the point and then head inland, following old settler roads to the trailhead and the pickup. Extras: North Coast Trail Shuttle makes the logistics of the one-way hike easy, dropping off and picking up hikers at either end with a water taxi and van. Surfing is busy almost everywhere, but there are plenty of waves on northern Vancouver Island with no one on them. Part of the reason is that most are water-access only. Water taxi and floatplane services out of west coast communities can help get to these. Two other destinations are a little easier to access. Raft Cove Provincial Park has the most consistent waves. Surfers either paddle down the Macjack River or hike in on a good trail to reach the campground at the river mouth. San Josef Bay is another option, accessible by paddling down the river or hiking in from the Cape Scott Provincial Park parking lot. Extras: Grab last-minute groceries and refreshments in Holberg, the last town on the way to both destinations. The Cove Surf Shop in Port Hardy is the only one in the north. It stocks wax, leashes, boards, rentals and local knowledge.